I just picked up this amazing superfood from Whole Foods! 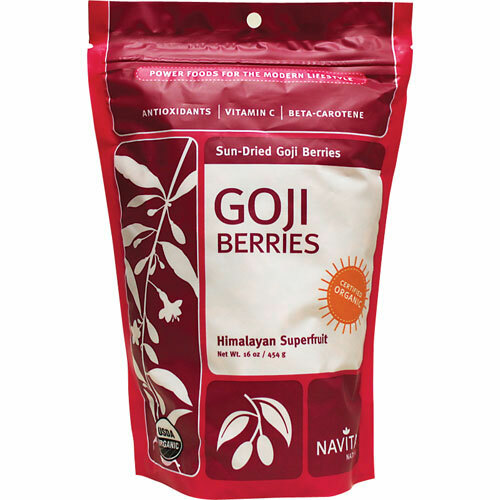 The Goji berry, also called the wolfberry, is native to Southeast Asia (China) and Europe. People from Asia have traditionally been known to eat this berry to increase longevity. 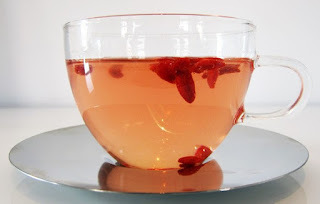 Modern research shows that the Goji berry prevents cancer, aging diabetes and heart disease. This is one powerful fruit that is packed with a multitude of health benefits. They are very high in antioxidants, which is key in the prevention of disease. They also help to boost your immune system and aid against vision or sleep loss. Goji berries give you increased energy, mental awareness, athletic performance, happiness and a better skin complexion. Add it to your smoothie, cereal, oatmeal, tea, trail mix, granola bars, etc.